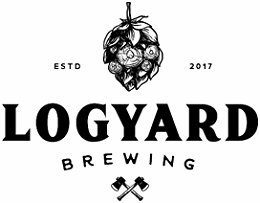 Enjoy world-class craft beer at Logyard Brewing, located in the Black Cherry capital of the world – Kane, PA.
Logyard Brewing specializes in hyper-local ingredients native to the PA Wilds. These distinct flavor profiles range from Black Birch to Black Cherry. 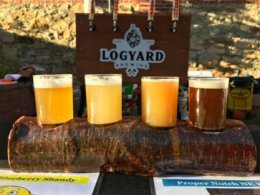 In addition to these unique elements Logyard Brewing incorporates classic beer styles, including Kolsch, Pale Ale, IPA, Stouts, and many more. 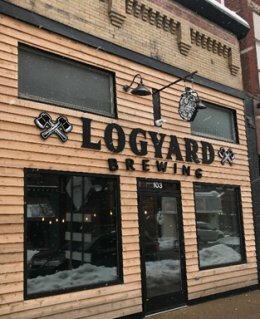 Logyard Brewing offers two properties. The brewery sits on 12-acres and houses a 4,000 square foot brewery, offering touring and tasting opportunities. The second is a 2,700 square foot taproom located a tenth of a mile from their brewery, guests will experience all the same craft beers, but in a setting that features local logging equipment, hyper-local sourced food, sports games on large TVs, and live music. Utilizing the freshest ingredients, guests can enjoy smoked beef brisket, sliders, smoked and pulled pork, and other bbq-style dishes and sides.